For clean, sustainable energy there isn’t much that beats the consistency of hydroelectric power. To celebrate World Oceans Day on Friday 8th June 2018, we’re taking a look at some inspiring hydroelectric projects which use tides or rivers in new and innovative ways. Ever since water wheels were invented to grind flour or power basic machinery, humans have used the power of flowing water. Energy generation from hydroelectric dams – which can be damaging to the environment – have been the favoured way to make the most of renewable, natural energy for a long time. But until fairly recently, electricity created from tidal and wave power – the natural ebb and flow of Earth’s seas and oceans – has been largely overlooked. However, the technology to create efficient power in this way is improving enormously, so let’s take a look at the new wave of hydroelectricity projects. 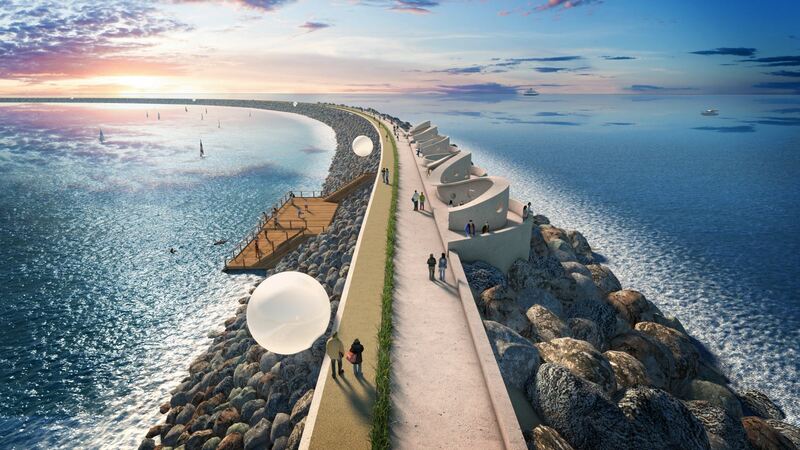 The Swansea Bay tidal lagoon project looks to capture the powerful tides off the coast of Wales and South-West England. Building for this striking lagoon is planned to start in 2018. The first phase of the four year project is to build out a 9.5 km breakwater wall, creating a man-made lagoon just outside the city. Once in place there'll be 16, 7.2m diameter hydro turbines that will run when the water is let into and out of the lagoon. This will power the turbines in both directions, every day, four times a day. Once it's running, there'll be enough electricity to power 155,000 homes for the next 120 years. Pretty impressive! Landscapes where there’s lots of water, steep hills and few people are often difficult to supply with power for the communities who live there. 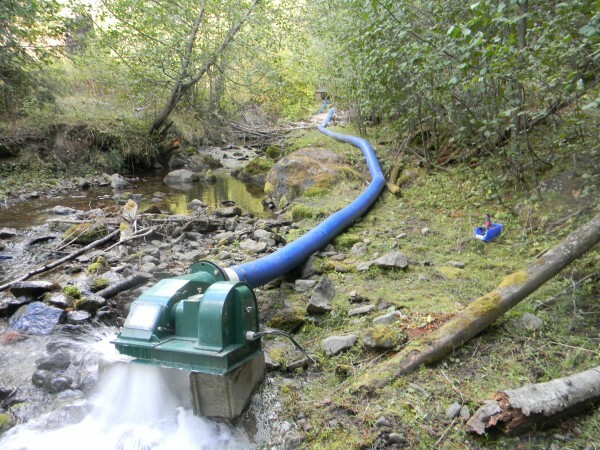 In many areas of the world, including parts of Wales, Scotland and the Lake District, micro-hydro systems are a popular way to create power from water. The generators can be placed in small streams and rivers to channel some of the fast-flowing water – sometimes providing enough power for entire villages. They're a great way to help local economies by providing low carbon, low cost, consistent energy. Do you have water running nearby? Why not get your own micro-hydro generator. This South Korean tidal barrier is the world's largest tidal power station. It's a man-made reservoir in an area once known as the 'Lake of Death', which sounds ominous but is actually quite beautiful. It works when seawater is let through into the lake. The amount of clean electricity generated from Sihwa tidal power plant is equivalent to 862,000 barrels of oil, or 315,000 tons of CO2. That's the same as what 100,000 cars produce annually. (1) So projects like this really are the future of sustainable low-carbon energy production. They show we don't need fossil fuel to make huge amounts of electricity. The tides around Alderney in the Channel Islands are extraordinarily strong and ideal to be harnessed by underwater tidal stream generators. These are large, bladed fans (like a propeller) placed on the seafloor which turn with the force of the water flowing through them. A company called Alderney Renewable Energy are currently building the France Alderney Britain Link (FAB Link). The tidal stream generators will stretch underwater from Exeter in the UK all the way to France, via the island of Alderney. It's exciting that the two countries are working together on a marine power project and planning to create a renewable energy source. Let's hope we see more of this kind of collaboration! Aluna is a brand new public art installation with a purpose. It's a huge timepiece that's powered by the moon. Water within the structure moves – just as the tides do – with the moon’s gravitational pull to create a clock that shows us the moon's movements. Aluna's purpose is to unite us all through our joint reliance on the natural world and to remind us of how important it is to be sustainable. It's been described as the 'Stonehenge of the 21st Century' ' because it acts as an inclusive time-telling monument for all religions and cultures. Aluna is in the concept stage currently, but is planned for installation in Greenwich in London - the base for global time. We're investing in a low carbon future for energy, bringing a greener tomorrow. Read about our commitment to renewable, low-carbon energy production on our Better Energy page. You can compare how your lifestyle affects your own carbon footprint with this article and switch to a low-carbon energy tariff from our Blue range over on our tariff page. The connected home of the futureHow does a wind turbine work?